Come out October 14th for Paint your Pet. This event will benefit two local animal shelters. Chesterfield County Animal Services and Fairfield County Animal Control and Adoption Center are teaming up for this benefit night. 15% of proceeds will go to the shelters to help cover emergency vetting, spay/neuter, and heartworm treatment. Both shelters are dedicated to helping animals in need in their communities. Please come out, grab some liquid courage at our bar, and have a great time! 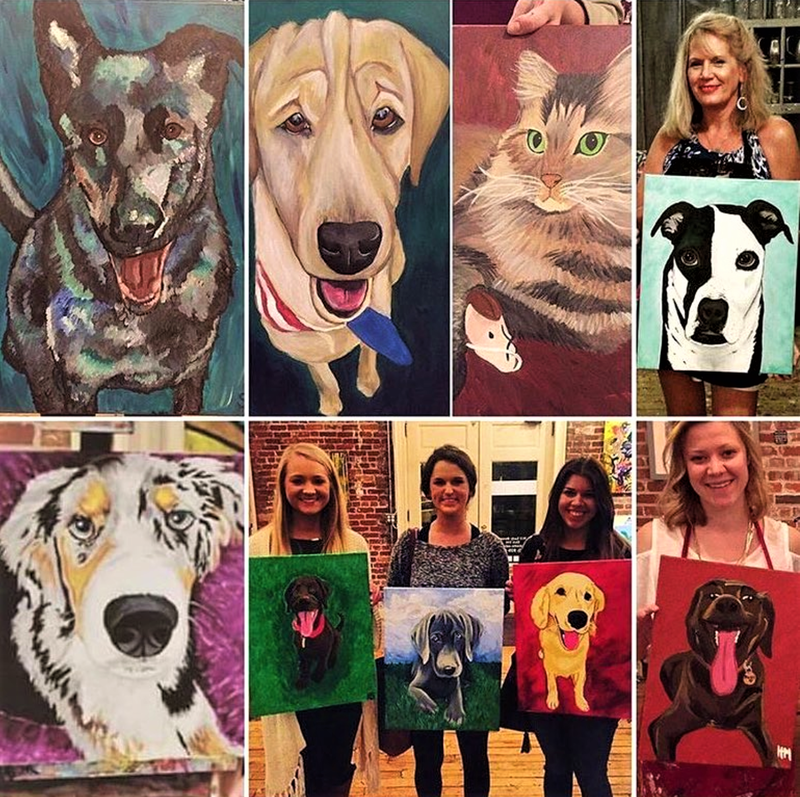 In order to paint your pet, you need to submit your favorite picture at least 2 days before class so we can prepare your canvas. Feel free to bring your furry friend if he/she is well trained. Submit pictures to studiocellarsc@gmail.com after registering. We guide you through this painting experience while you sip on the "liquid inspiration" of your choice sold at our Paint Bar. Bring old friends or meet new ones! This is a 3 hour class. Pictures shown are all examples of pet portraits from our classes!